Much of the research today is aimed at finding new, better treatments for ADHD, especially in children who struggle with it on a daily basis. But researchers are now suggesting that we need to look in more detail at what causes ADHD – including factors such as chemical exposure. We already know from previous research that lead and tobacco exposure are not healthy for adults or for a growing and developing foetus. Prenatal exposure to these chemicals has previously been linked with developmental problems and mental health disorders in children. Children born to smokers are more likely to have a low birth weight. The mother is also more likely to suffer from a miscarriage or premature labour if she smokes. The list of risks is enormous if the mother chooses to smoke while pregnant. Given this information, researchers recently conducted an experiment to look specifically at ADHD. 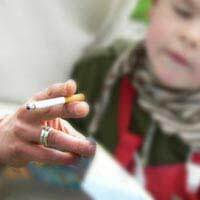 They wanted to find out if prenatal exposure to either or both of tobacco and lead increased the risk of a child receiving an ADHD diagnosis. Studies show that when a pregnant woman is exposed to tobacco or lead, her children are at a higher risk of having ADHD. Estimates were high, with experts explaining that up to thirty-five percent of ADHD cases in children could be reduced. This is simply by eliminating prenatal exposure to lead and tobacco. Individually, each has a harmful effect but where a pregnant woman is exposed to both chemicals, the harm is magnified. To look at how these chemicals might link to ADHD, researchers took data from nearly three thousand children who had participated in a survey years earlier about health and diet. The researchers then used the survey for their current study on ADHD. In the survey, mothers had reported on cigarette use during their pregnancy. To make an accurate assessment of the lead exposure, researchers used current blood lead levels. For determining if ADHD was present, researchers used the standard textbook criteria for diagnosis. They found that children who had been exposed to tobacco in the prenatal phase where more than twice as likely to have ADHD. Children who had blood levels for lead that were in the top third of the sample were also more than twice as likely to have ADHD. For children who had both the tobacco exposure and the top third level for lead, they were eight times more likely to have ADHD. Even researchers were surprised by how much the risk was raised in children who were prenatally exposed to both tobacco and lead. Although we should still continue to look for improved treatments for those who have ADHD, we shouldn’t neglect the contributing factors either. Improved education could help to warn mothers of the dangers of smoking during pregnancy. While some of the mothers smoked, others also were exposed to the harmful chemical due to a partner or family member smoking around them regularly. Clearly, secondhand smoke must also be addressed. If pregnant women can ensure their exposure to potentially harmful chemicals and environmental hazards is minimised, many children could be saved from the difficulties associated with ADHD and its management.